4. Would you dare not love him? 5. Is it possible to live with a wolf? 7. Is it possible to be perfect? 8. Friends like to talk. 10. Would it be possible to be silent? 12. 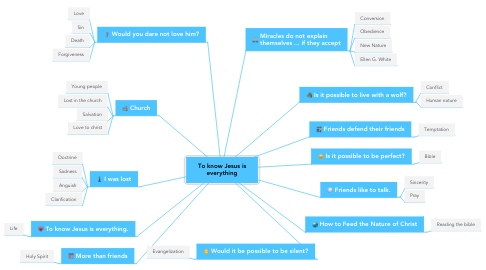 To know Jesus is everything.